Were you looking to buy a new Volkswagen Golf GTI? If so, then you may want to add more cash to that purchase, as the base hot hatch is no more. The car has been dropped from the lineup due to the WLTP modifications. 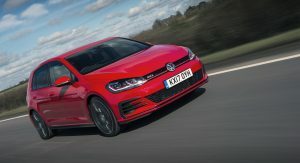 However, a quick search on the brand’s German and British websites reveals that the more powerful Golf GTI Performance is still on sale. 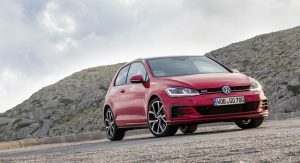 The latter carries a €32,950 ($38,350) and £30,585 ($39,975) starting price respectively, and benefits from a bump in power over the defunct Golf GTI, offering 245PS (241hp / 180kW) from its turbocharged 2.0-liter four-cylinder engine. 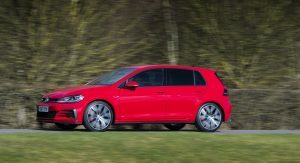 Accelerating from rest to 100km/h (0-62mph) is done in as little as 6.2 seconds, with the GTI Performance also coming with features such as LED headlights, navigation system, 18-inch alloy wheels and other. 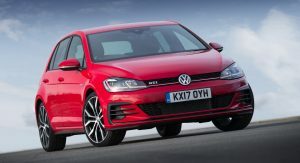 Given that Volkswagen is already working on the eighth generation Golf, which is due next summer, it’s very unlikely that they will detune the standard Golf GTI, in order to meet the stricter emissions rules. 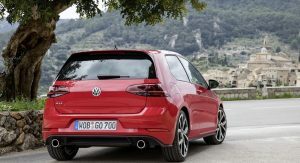 Nevertheless, the rest of the high-performance versions of the German compact car are far from facing the axe. 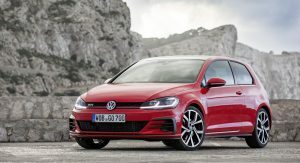 In fact, Volkswagen will launch the Golf GTI TCR later this year, with 290PS (286hp / 213kW) and 370Nm (272lb-ft) of torque from a turbocharged 2.0-liter four-cylinder engine. 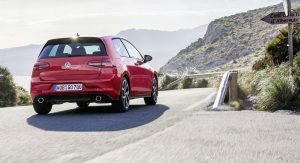 The new hot hatch will also feature a standard locking differential and a dual-clutch seven-speed gearbox, and will remain front-wheel drive. 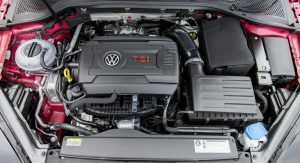 Besides pulling the plug on the standard Golf GTI, VW was also forced to shave 10PS (10hp / 7kW) from the Golf R a few weeks ago, by equipping it with a new exhaust system, thus making sure that it complies with the WLTP requirements. You want the ICE to end? 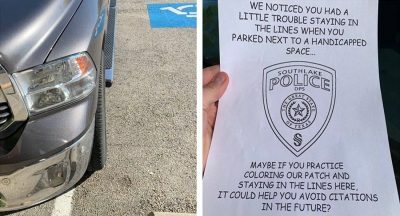 Probably the end of current generation. Or, with the expensive and complicated certification process, the end of ca. 25 variants of the same engine for every special edition, but keeping those that go in big enough figures to various other cars as well. I think I dropped my jar more at the new standard price of the GTI than this article’s title. 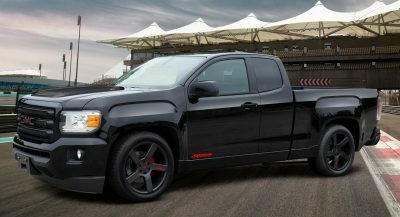 241 hp is considered a lot by VAG standards? 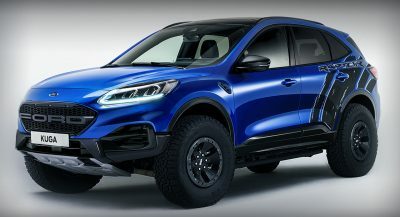 Despite the interruption of various models I am sure that VW will cheat on sales data and will tell that it has sold even more than last year, despite the stop of certain models VW; Audi; Porsche.